In November 2016, Stanford University researchers made an alarming discovery: across the US, many students can’t tell the difference between a reported news article, a persuasive opinion piece, and a corporate ad. This lack of media literacy makes young people vulnerable to getting duped by “fake news” — which can have real consequences. Who wrote it? Real news contains the real byline of a real journalist dedicated to the truth. Fake news (including “sponsored content” and traditional corporate ads) does not. Once you find the byline, look at the writer’s bio. This can help you identify whether the item you’re reading is a reported news article (written by a journalist with the intent to inform), a persuasive opinion piece (written by an industry expert with a point of view), or something else entirely. What claims does it make? Real news — like these Pulitzer Prize winning articles — will include multiple primary sources when discussing a controversial claim. Fake news may include fake sources, false urls, and/or “alternative facts” that can be disproven through further research. When in doubt, dig deeper. Facts can be verified. When was it published? Look at the publication date. If it’s breaking news, be extra careful. Use this tipsheet to decode breaking news. How does it make you feel? Fake news, like all propaganda, is designed to make you feel strong emotions. So if you read a news item that makes you feel super angry, pause and take a deep breath. Then, doublecheck the item’s claims by comparing it to the news on any three of the media outlets listed above — and decide for yourself if the item is real news or fake news. Bottom line: Don’t believe everything you read. There is no substitute for critical thinking. If you get in the habit of asking all 5 of these questions whenever you read a news article, then your basic news literacy skills will start to grow stronger. However, these are just the basics! 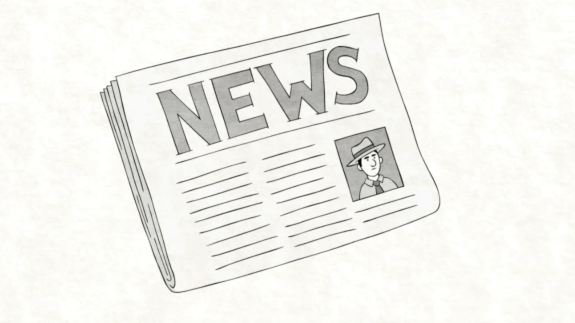 To dive deeper into news and media literacy, watch the TED-Ed Lesson: How to choose your news. To find out more about what students need, read the Stanford University report, published here. Laura McClure is an award-winning journalist and the TED-Ed Editor. To learn something new every week, sign up here for the TED-Ed Newsletter. Fantastic! Have been working on this in my high school science classes! The Stanford Study is a great resource and quite eye-opening! Great work Laura! Fake news has an agenda. It is propaganda. Much of our main stream media and all cable are now owned by corporations who have a history of distracting the public and making the news into trivial entertainment. Many of them use spin doctors from the two major parties. It was painfully obvious this past election and did the country a great disservice. Issues on fake news are prevalent in the Philippines nowadays, more often in social medias in which the youths are much involved and prone to reading hoaxes everywhere. Helpful article – thank you! My only caveat might be that right now ‘real news’ stories found in ‘respectable’ media outlets about Trump’s versions of reality (eg crowd size at the inauguration) may also make us ‘super angry’ – so apply the previous tests first! I’ve always wondered about this. Thank you! “Check that there is a blue verified tick on twitter”. But who watches the watchmen? Twitter itself is a big corporation. What is its agenda? What is the agenda of the major media outlets (many of which are owned by that lovely man Rupert Murdoch). It’s getting to the point where you can’t trust any news report. Fact checking… who checks the facts, and how? The classic misleading article in modern mainstream media is the storm in a teacup manufactured by taking someone’s words out of context. Or focusing on some politically incorrect slip of the tongue instead of far more important issues. I like it. It tells us the info we need to know what type a news we should have and what fake news is and on understanding the news better. I’ve always wondered about this. I like it this post..
It’s pretty easy to identify. Look for a comments section, if don’t have one they’re typically spouting fake news. Real news wants feed back.